What a wonderful story of family, loyalty, lust, love and belonging. Cutter and Mia were perfect for one another and every scene they were in made me want more. Great dialogue, wonderful characters with strong personalities, heartwarming and oh so special! At thirty, Cutter Joe Jackson was the oldest of the three Jackson brothers. One year older than Caleb and three years older than Eli, he was their natural-born leader and didn’t care who knew it. Fearless and protective, he was a force to be reckoned with. And, okay, maybe Eli was known as the brains of the family, and maybe Caleb had more patience than the rest of them put together, but they both still looked to Cutter for leadership. No one knew more about the ins and outs of the family business than he did. Not even his father, or his father before him. Fishing trawlers, dive boats, yachts and deep-sea fishing charter cruisers were berthed at Jacksons’ Marina these days—many of them Jackson owned and operated. Cutter’s days were mapped out for him by the wind and the tide, and there was nowhere else he’d rather be than on this perfect stretch of Australian coastline, with the river winding to the west, the Pacific Ocean to the east and all of it his for the taking. Paradise was his and he could be generous in his sharing of it. Both his brothers had recently acquired wives and Cutter had welcomed them into the family with enthusiasm. The newest Jackson wives were fine women who gave more to the family mix than they took from it. If they could just bring themselves to recognize his innate authority the way everyone else did, life would be downright perfect. Eli’s wife, Zoey, had a bad habit of wanting to dress him up in Lycra superhero costumes, at which point his other sister-in-law, Breanna, would be called in to take photos. Cutter had suffered the indignity several times now, because he loved the new additions to his family and because for every ounce of cooperation he gave he extracted concessions from them. Home-cooked meals for the hungry, hardworking bachelor. Lazy, hazy Friday afternoon get-togethers at the marina—a Jackson tradition that emphatically didn’t need to stop now that wives were involved. Firstborn nephews with Cutter as their middle name. Cutter was pretty sure Eli didn’t know about that particular promise of Zoey’s yet, but Cutter intended to see that she kept it. He didn’t wear a wet loincloth, carry a three-pronged pitchfork and drape himself across a wave-drenched rock for just any old reason. No. Modeling Zoey’s Poseidon costume had demanded extreme payment. He leaned on Eli’s drafting table, situated in the tidiest corner of the marina boatshed. The boatshed was a long, wrought-iron building with an office up one end, Eli’s workspace next to it, then Caleb’s dive school equipment, and finally the boat repair workshop towards the slipway at the far end of the shed. Eli’s section was the cleanest, Caleb’s the most organized. Cutter’s section resembled a graveyard where once-functional boat engines had been brought to die, but woe betide anyone who tried to tidy it up. Cutter knew exactly where everything was, thank you very much. “What about Billy Joe Cutter Jackson? Got a good ring to it,” he told Eli. “What?” Eli looked up from the latest set of boat-building plans that he’d been explaining, mainly because Cutter had been fool enough to stop and show an interest. A faint hint of alarm widened Eli’s gray eyes. Women had written odes to those eyes. Cutter could have conquered the world with those eyes. Alas, he had to make do with mostly green eyes, liberally flecked with the gray. “Is this your way of telling me you got some woman pregnant?” asked Eli. “Zoey’s pregnant?” Eli was beginning to look a little pale. “I—what are we talking about?” Finally, he had captured Eli’s undivided attention. It was a sad disconnect in communication that Eli no longer had his. The woman currently standing in the side entrance to Jacksons’ Marina wasn’t a Brunswick Bay native. If she had been, Cutter would have made it his business to know more about her. Small, inconsequential things like how she liked her coffee in the morning, and bigger, more pressing concerns like how best she might want to be loved. “Earth calling Cutter.” Eli’s voice came at him, thoroughly exasperated. “Later,” he murmured, without taking his eyes off the vision of windswept, kickass beauty that had just sauntered into his life. She had dark, cat-like eyes and a waterfall of long auburn hair. He wouldn’t call her skinny, that would have been an exaggeration but there wasn’t much of her. A sea-green sundress lovingly showcased pert breasts and ended somewhere north of mid-thigh, leaving a whole lot of creamy skin to no one’s imagination. He’d never seen skin the color of creamrose pearls anywhere outside of his mother’s porcelain doll collection. Could be that his mother’s penchant for storing those dolls behind glass was contributing to Cutter’s desire to reach out and run his fingers over that flawless skin now. His body couldn’t make up its mind whether it wanted to be horrified or aroused by the thought of marking her. He settled for straightening from his slouched position against Eli’s drawing table and lifting an enquiring brow. She took her time looking him over and then raised him a perfectly arched, auburn eyebrow in return. Long live women who gave as good as they got. “Need some help?” he rasped when the staring had gone on quite long enough and a smile had yet to grace her temptingly plush mouth. 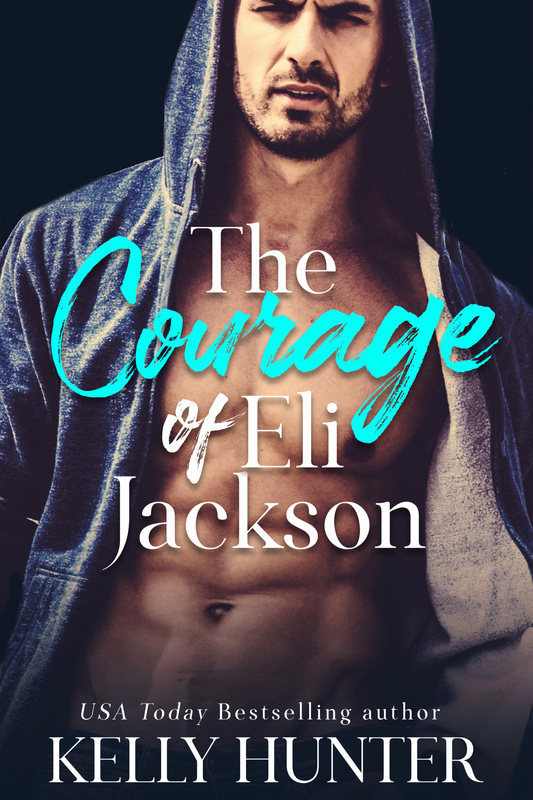 “He retired a few years back.” Beside him, Eli snorted softly, because, yeah, retired or not, his father still put in a couple of day’s work at the marina and pulled shifts on the trawlers whenever they were a deckhand down. Not to mention that Geoff Jackson—and his father as well—still had a great deal to say when it came to running the family business. “Why would you want to?” asked Eli, his expression decidedly cooler than usual. “And you are?” she said. “My brother, Eli,” said Cutter with a puzzled glance in his youngest brother’s direction. Eli had become a lot more sociable since marrying the exuberant Zoey. He hadn’t offered up this kind off coolness towards a stranger in a while. “You’re another one of Geoff’s sons?” she murmured and Eli nodded curtly. “You’ll see,” she said, just as Caleb rounded the open roll-a-door that opened out onto the jetty. He wasn’t alone. Same face he saw every morning when he looked in the goddamn mirror. “Who the hell are you?” Cutter watched in growing disbelief as his doppelganger spared a look for the woman in the doorway and with the slightest shift of his head, told her to get gone. 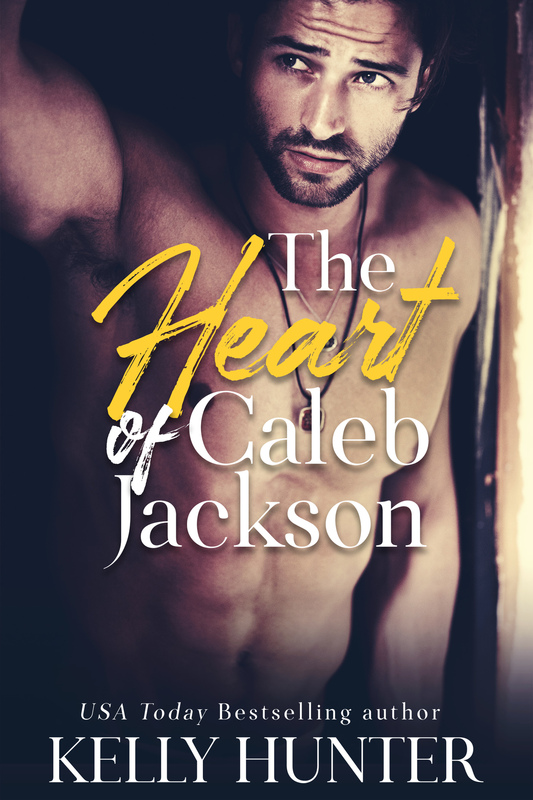 “My brother asked you a question.” Eli broke the silence, his gaze fixed on the man at Caleb’s side. The man scowled and ran a hand across the back of his neck, and there was a gesture Cutter knew intimately. This—whoever he was—had Cutter’s face and his habits. Even the voice was similar. Not quite as threatening as his. Maybe not quite as gruff. And then the man lowered his hand and his gaze locked on Cutter. Fist. Face. Even if it was his own face. Cutter started forward, only to be met by Eli’s shoulder-check and a firm hand wrapped around his bicep. Cutter heard a not-so-delicate snicker coming from over near the door, and spared a menacing glare for the redhead. “Course he is,” she murmured. “You still haven’t said who you are.” Cutter’s words were a writhing mix of anger and confusion and he didn’t spare her any of it. Not as if she was being helpful. “Just because she’s his sister, doesn’t mean she’s our sister.” Eli added his two cents. Good point. Cutter was going to hold to that small but significant distinction, otherwise he was going to have to face the fact that he’d been temporarily and altogether unwittingly lusting after his sister. “Waiting for an explanation,” he grated. “Aren’t we all,” she said. “O-kay. Let’s all just … pause.” Caleb signaled a scuba diving stop-right-there sign and Cutter was all for it. He also wanted a rewind button, some kind of warning that the fine fisherman’s catch he’d hauled in off the trawler this morning was going to be overshadowed by a catastrophic revelation come lunchtime. “Does my father know about you?” Caleb asked her and she had the grace to look discomforted. “Clearly you’re not the smart one,” the woman murmured, drawing his attention yet again. He scowled and watched her lips curve in reply. It was a good smile. A dazzling smile. A smile designed to challenge a man and it was directed straight at him. “Leave it,” her brother said. And lo if she didn’t cross her arms defensively in front of her and do what he said. Book three in the Jackson series returns to home territory for me, and, again, I think it shows. I was aiming for a particular kind of guy in Cutter Jackson. A man of easy confidence and a thorough awareness of what he brings to a relationship. He’s easy on the eye and has a strong regard for family. He has a liking for women, and I mean that in the purest sense. He likes what they bring to his alpha-driven, physical world. He’s open to them. And when finally he finds the one he wants, he’s all in. They’re a rare breed, such men, but they do exist. A previous edition of this story.